Jack Nicklaus and Rory McIlroy Christy O’Connor Jnr is backing world No 1 Rory McIlroy to win at least 10 major titles. But the Galway legend wonders if the 23-year old Holywood hotshot will have the competitive desire to chase down Jack Nicklaus’ record of 18 major victories. Speaking at the launch of his autobiography, “Christy - From Rough to Fair Ways” (Paperweight €19.99), the 1989 Ryder Cup hero said: “If he minds himself, I think Rory could win 10 plus, after that who knows. “He’s got to stay competitive and to stay competitive later in your career you have to play quite a lot of golf, not just the odd tournament. 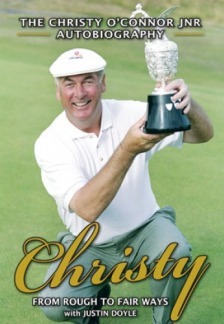 Christy O’Connor Jnr’s autobiography is available on-line.“I say he’ll win 10 plus majors but whether he wins as many as Jack is another story. 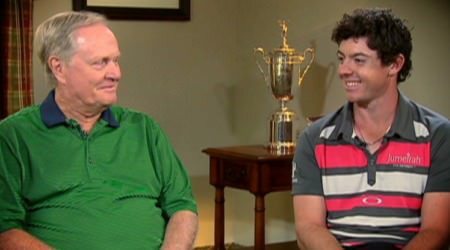 Jack Nicklaus had a massive desire to win trophies and it remains to be seen if Rory will have the desire that Jack had. O’Connor Jnr will forever be remembered for his iconic Ryder Cup winning two-iron at The Belfry in 1989 and his thoughts on the non-appointment of an Irish captain have been well documented since he failed to get the job at The K Club in 2006. His book, which was penned with the help of journalist Justin Doyle, chronicles a life of huge ups and downs from that win at the Belfry to his struggles with alcohol and the tragic death of his son Darren. He rails against what he perceived to be an anti-Irish feeling in the PGA in the UK and Europe, blaming Tony Jacklin and Seve Ballesteros for his non-selection for a wildcard for the 1985 Ryder Cup. He has nothing against Darren Clarke but he makes it clear that he wants Paul McGinley to get the job at Gleneagles in 2014. Asked if he’d be disappointed to Clarke got the nod, he said: “I wouldn’t be disappointed if an Irishman gets it. But I hope if an Irishman gets it, it will be the green, white and gold of the captain. It’s very important to me that that flag is flying for the captain. Very important to me. Golfing legend Jack Nicklaus has had to cancel his European trip and pull out of Monday’s Christy O'Connor Junior Celeb-Am in aid of Galway Hospice at Galway Bay Golf Resort. 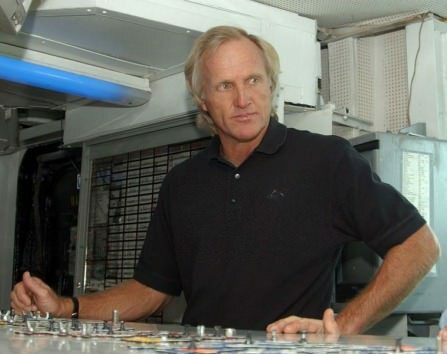 Greg Norman reckons Rory McIlroy and not Tiger Woods has the best chance of breaking Jack Nicklaus’ record of 18 major wins.As Darren Clarke confessed to struggling with some swing changes, the plaudits continue to pour in for Rory McIlroy and Tom Watson. Tom Watson and Jack Nicklaus watch Des Smyth hit a tee shot the 1981 Ryder Cup at Walton Heath. Ryder Cup veteran Des Smyth has called on the European Tour to kick “politics” out of bounds when it comes to selecting a Ryder Cup captain.